On October of 2016, AT&T, Inc. and Time Warner Inc. announced that AT&T would acquire Time Warner in an $85.4 billion transaction. This acquisition was widely seen as the biggest of the year. 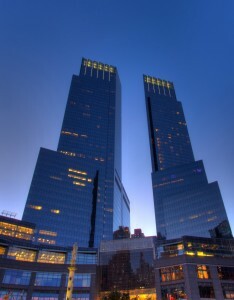 Time Warner is a giant media and entertainment powerhouse that owns brands such as HBO, Turner Broadcasting (think CNN, TNT, TBS, and Cartoon Network/Adult Swim), and Warner Brothers. Given AT&T’s extensive network in mobile, broadband, and television distribution, this match could change the face of access to the internet, news, entertainment, streaming services, and more. Antitrust litigation is most commonly triggered by instances of horizontal acquisition. In horizontal acquisition, a company is merging with another company in a similar market sector and at the same stage of production. Because this involves the combination of two likely competing companies, it is at risk for creating reduced competition and a monopoly for that industry. This is where Justice Department antitrust litigation steps in. However, it is uncommon for the Justice Department to step in when the matter involves a vertical acquisition, such as this one. In a vertical acquisition, a company is acquiring another company that provides either supplies, logistics, production, or another service at another level of the chain. While it can still reduce competition by creating barriers for entry into the market, it is less likely to do so. AT&T argues that this is a prime example of vertical acquisition, as it combines a distributor of programming (AT&T) and a supplier of programming (Time Warner), two differing points of the market. While it is certainly rare for the Justice Department to get involved in vertical acquisition matters, it has occurred. The usual remedy to a vertical acquisition issue is a “conduct remedy,” i.e., the Justice Department allows the acquisition with certain conditions, as it had attempted to do with the AT&T deal. With the AT&T chief executive staunchly opposing any sale of its companies, however, this dispute has culminated in an ongoing lawsuit that could drag out for some time.